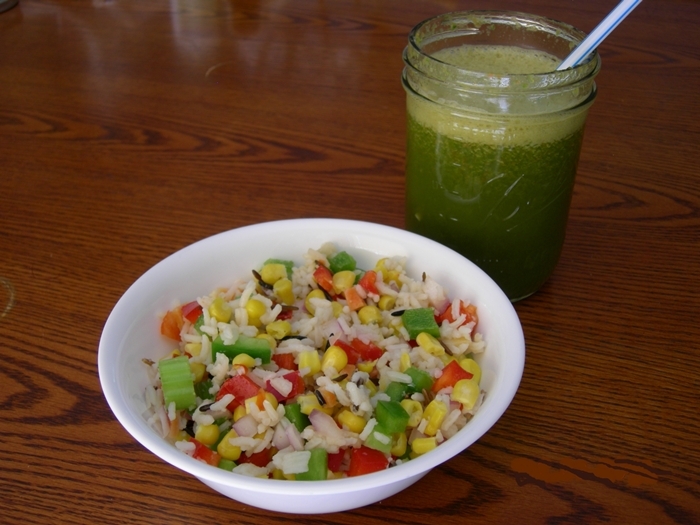 Additive-Free Eats: Gerson approved Rice Bowl with Green Juice! This meal is simple really..... yes, I called it a meal. ;) You can also enjoy the rice bowl as a side dish if you wish, but paired with some green juice it makes for a nice, light and healthy dinner! This recipe is adapted from an e-book called "Healing Through the Holidays" by Jess Ainscough (aka: The Wellness Warrior). Cook rice on stove-top according to directions. Finely dice all vegetables and combine with cooked rice. Serve with apple cider vinegar as the dressing on top. *Run all ingredients through juicer and enjoy immediately after juicing to get the maximum nutritional benefits. I wanted to post this simple, Gerson approved recipe in order to share some more information about the Gerson Therapy, which I mentioned briefly in my first post from 3/7/12. Developed by Dr. Max Gerson in the 1920's, the Gerson Therapy is an alternative, non-toxic treatment for cancer and other degenerative diseases based on an organic plant based diet, raw juices, coffee enemas and natural supplements. If you've ever been interested in an alternative treatment for cancer or other degenerative diseases, click here for the complete information and history on this therapy. It is worth your time! 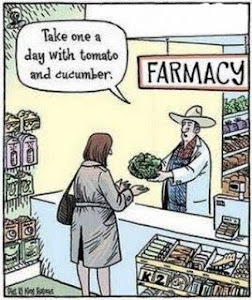 I have never had cancer or been on the actual therapy (although I have applied many of its principles to my diet such as daily juicing), but after all my research on the Gerson Therapy versus conventional treatment, I would go with this treatment any day. I know it's an individual choice but wanted to put this information out there for those who either never heard of it, or just want to know more. Also, if you haven't heard of Jess Ainscough or taken a look at her blog, I highly recommend you do so! Jess began her journey on the Gerson Therapy almost two years ago (she has one month of nutritional treatment left - go Jess!) after being diagnosed with cancer and refusing all forms of traditional treatment, including the amputation of her arm. Her blog documents her journey on the Gerson Therapy and is full of inspiration and healthy eating tips/recipes. She is a real-life testimonial to the power of healing from the inside out!